»Activities»USJ, HDF and DSC join forces for the first university blood drive! USJ, HDF and DSC join forces for the first university blood drive! 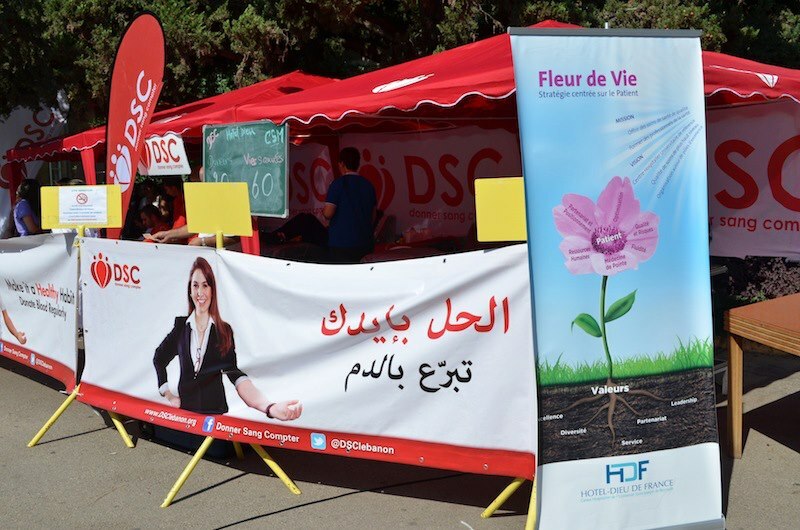 On Friday, October 12, DSC organized, in collaboration with the Hotel Dieu de France Hospital (HDF) blood bank, its first blood drive at a university, the USJ Medical Campus located on the Damascus Road. In a highly positive energetic ambiance, many students, mainly studying medicine, pharmacy or dentistry, went on to donate and encourage many of their friends to do so for the first time. Overall, 60 bags were collected, helping save around 180 lives. We would like to thank for the occasion everyone who helped make this drive such a successful event; from the HDF blood bank staff, to the USJ-CSM administration, as well as all the volunteers and donors. Let’s hope it will be the start of a long tour around all the Lebanese universities! You can check the photo album at this location.